A property with relaxed vibes, Hotel Eftalia Aytur is located close to the stunning 13th Century Alanya Castle. Guests can also spend an entire day at the Disneyland Lunapark close by. A beach with a breezy bar is one of the main USPs of Hotel Eftalia Aytur. Other amenities include two outdoor pools, one kid’s pool and an indoor pool. The Antalya Airport is 2.5 hours drive away from here and the Gazipasa airport is closer to this property. 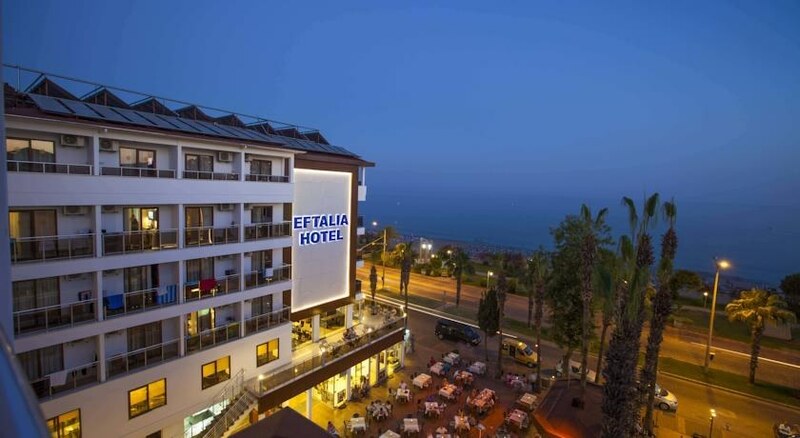 Hotel Eftalia Aytur boasts great location close to the Antalya City Centre where you can go to visit the bustling township. This hotel has its own private beach area. The hotel is just 5 km away from the 13-century Alanya Castle and just 6 km from the Disneyland Lunapark. 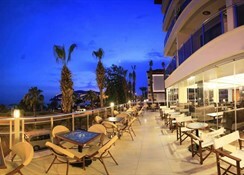 While here, do visit the Antalya city centre nearby. Alanya is just nearby where you can find plenty of local shops, eateries, Turkish bath outlets and bars. The property is at a Distance of 37.3km from the Gazipasa Airport. 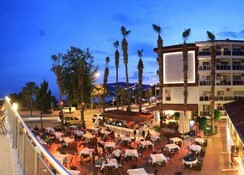 There are 222 rooms spread across the 3 buildings of Hotel Eftalia Aytur. There is one apartment block and the lift makes all the blocks and rooms easily accessible. 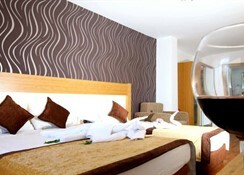 The property has warm and elegantly done rooms featuring free Wi-Fi, flat-screen TV and mini fridge. One can find balconies in every room offering pretty views. There are bunk beds in some rooms. The upgraded ones add separate sitting areas. Every bathroom is equipped with a hair-dryer. 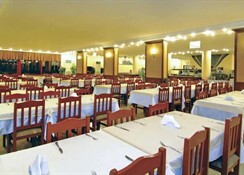 A complimentary breakfast and dinner is served in the casual buffet restaurant at Hotel Eftalia Aytur. The restaurant has a terrace and a bar. A la carte eatery and a lobby lounge also serve amazing dishes. Guests can sample various local and international cuisines here at the restaurants. The bars also serve snacks along with drinks. Guests can sweat it out in the state-of-the-art fitness centre here. A spa offering pampering massage treatments and a sauna is available here. Guests can avail a traditional Turkish bath at the spa here. Play a game of beach volley at the private beach of the hotel. Stay connected with your friends accessing the free Wi-Fi offered in the public areas. To entertain your children, you can take them to the children’s pool and children’s playground here.